Thanksgiving dinners are generally viewed as a big deal and it is best to not leave anything for the last minute. Considering the uncountable number of things you need to take care of, we have today compiled a list of 10 must-have items that will not just complete your meal preparation but also add an extra punch to the ambiance of the grand dinner. 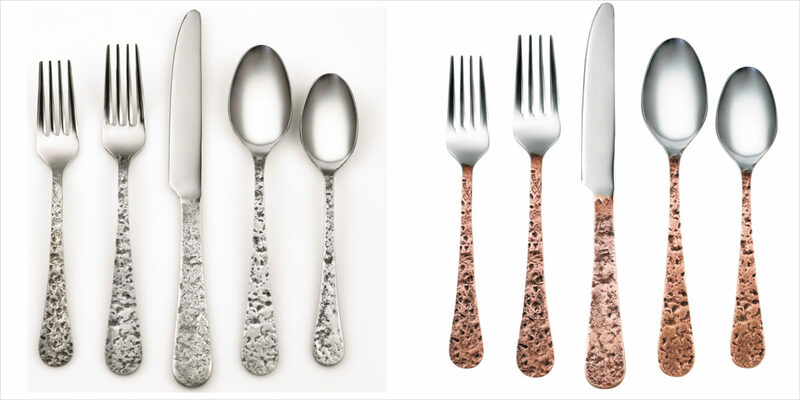 If you are looking for a fancy flatware, this stainless steel silverware set with an antique copper finish will definitely accentuate the look of your table at any given party. If you love the look of cut crystal but are looking for a touch of modern functionality, these wine goblets reflect sheer beauty. The geometric diamond pattern on the base of each glass will bring a refined touch to your Thanksgiving dinner table. 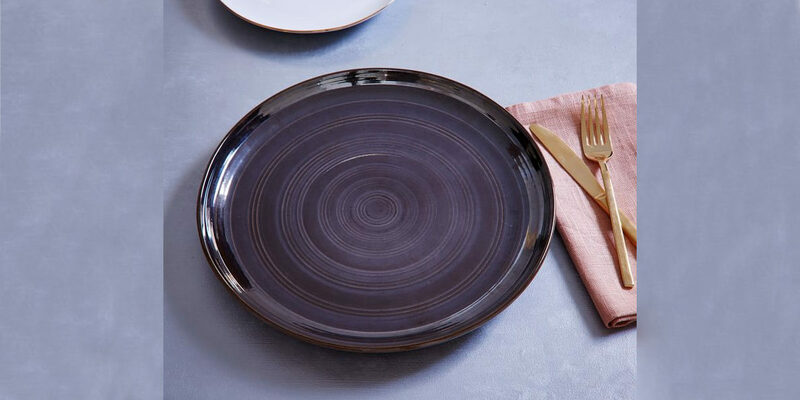 Having a protective platform for soup bowls and hot plates is a must, and this deep navy ceramic charger plate with circle pattern is a subtle and detailed choice to bring to your table. For the perfect soft setting, don’t forget to add a delicately patterned napkin to your table. 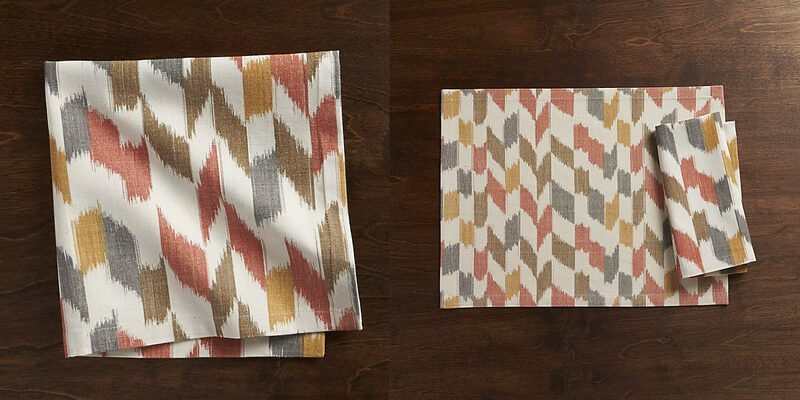 This stylish napkin with a chevron and ikat print is colourful with an earthy palette and a great choice to liven up the table setting. 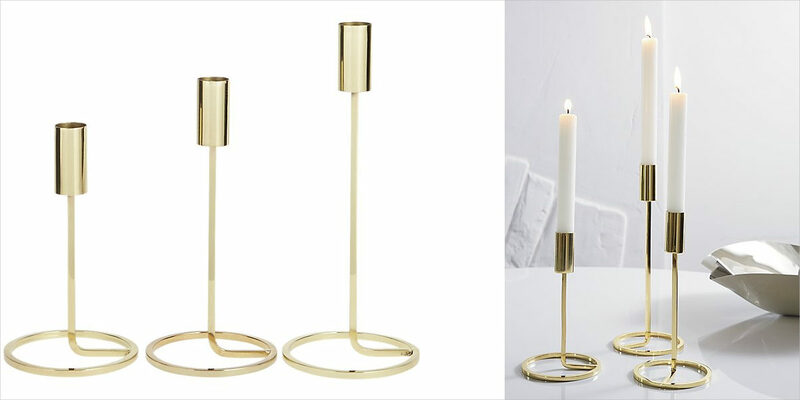 Bring out the evening glow with candleholders. This candle holder trio set comes with a sleek design and circular base to add an artistic touch to your Thanksgiving festivities. 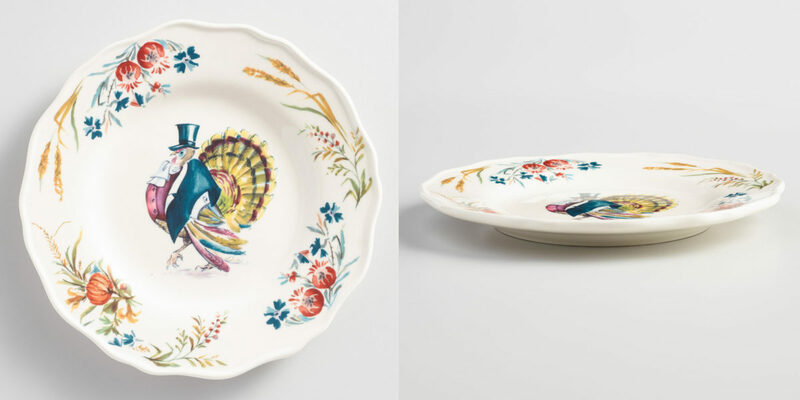 This scalloped stoneware plate has a beautiful traditional harvest style which is perfect to add the touch of whimsy to the Turkey platter. With more traditional table pieces it is essential to get the Thanksgiving motif well coordinated. 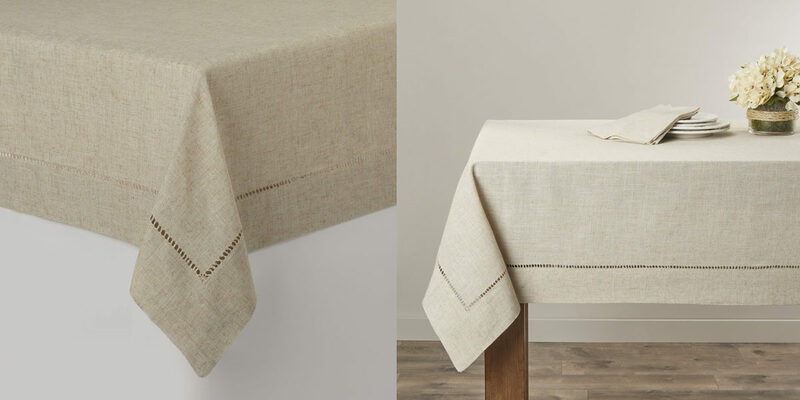 If in doubt, stick to the standard, safe and always-appropriate poly-linen blend tablecloth with open-weave hemstitching. 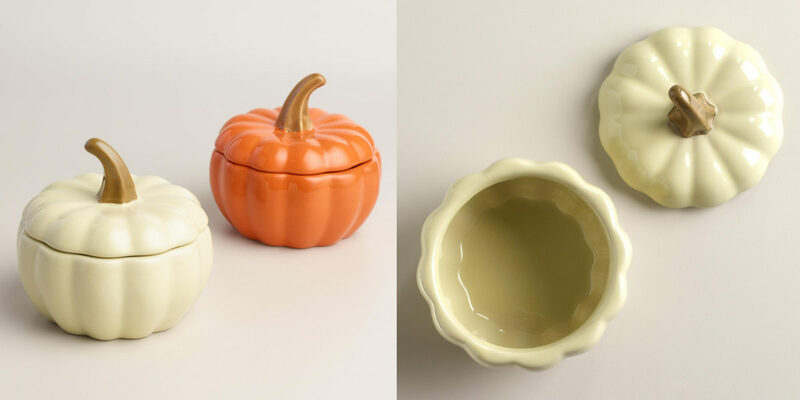 These pumpkin shaped vessels offer multipurpose use with usages such as candy bowls, trinket dishes and mantel ornaments. The beautifully shaped ceramic is a fantastic value for price. These ultra-versatile mini lights sets can be hung along a railing, a table or even decorated as a room accent. Available in different colors and sizes, you can decide the style as per the aesthetics and theme of your home. Detailed and subtle, this wreath is beautifully decorated with cherry peppers and Japanese lanterns. 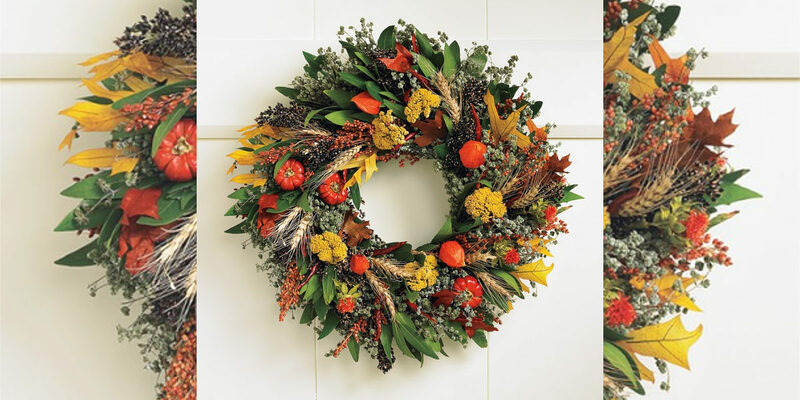 The wreath is a beautiful and decorative element to add to your entry gate. Set the Thanksgiving decor and table with the right elements and features for a memorable and comprehensive dinner.